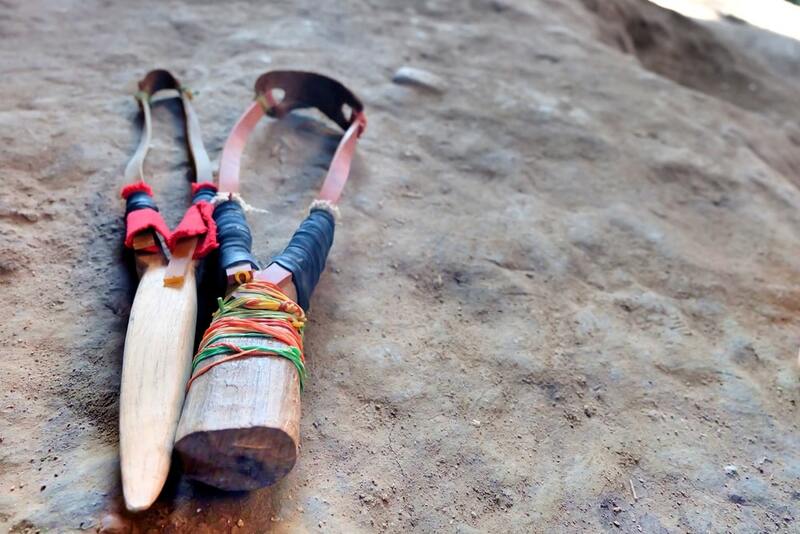 Home Gear What is the Best Slingshot for Survival? Free Guide! Imagine how difficult it would be if you were lost in the wilderness without the proper survival tools. It would be a life-threatening experience if you were ever caught unprepared. Believe it or not, these things happen, even outside End Of World Scenarios. Having a flat tire in the middle of a biking trail, being stranded while hiking in the woods or while camping out with your family are all situations you wouldn’t want to be in. The food you’ve brought will eventually run out. 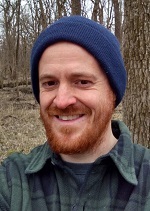 Being able to live off the land will mean the difference between survival and an untimely end. Fortunately, there are plenty of natural foods that can be found in the woods. When you think of hunting, you’d normally think rifles, guns or hunting knives. Slingshots are probably the furthest thing from your mind- after all, won’t you automatically think Bart Simpson and childish pranks when you see a slingshot? But surprisingly, it’s one of the best weapons you should bring with you whenever you head outdoors. 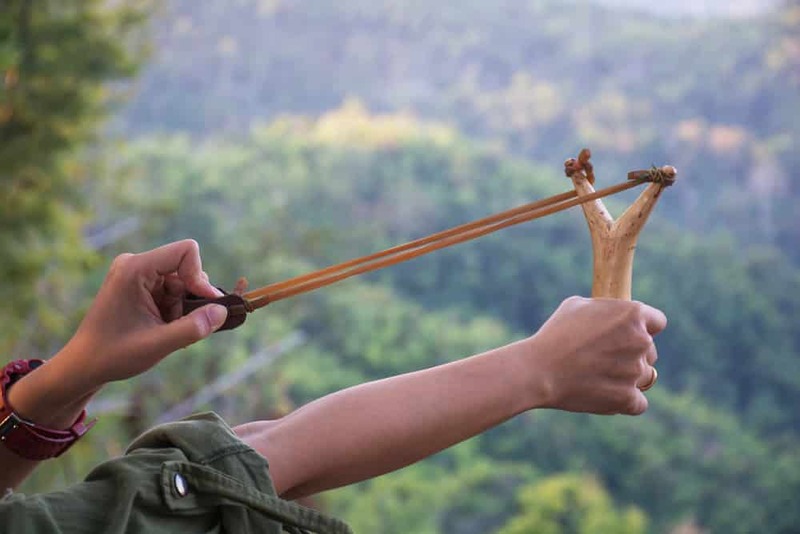 Believe it or not, rudimentary slingshots were used to hunt live animals and fight off marauding tribes. It’s an excellent self-defense tool that has nigh-infinite ammo. Almost all survival scenarios have constantly shifting factors that you have to prepare for. Some of the unknowns will be the type of enemy you’ll face, and the length of time it takes to get back home or to a fortified base. Having a handy weapon with you at all times becomes a necessity. 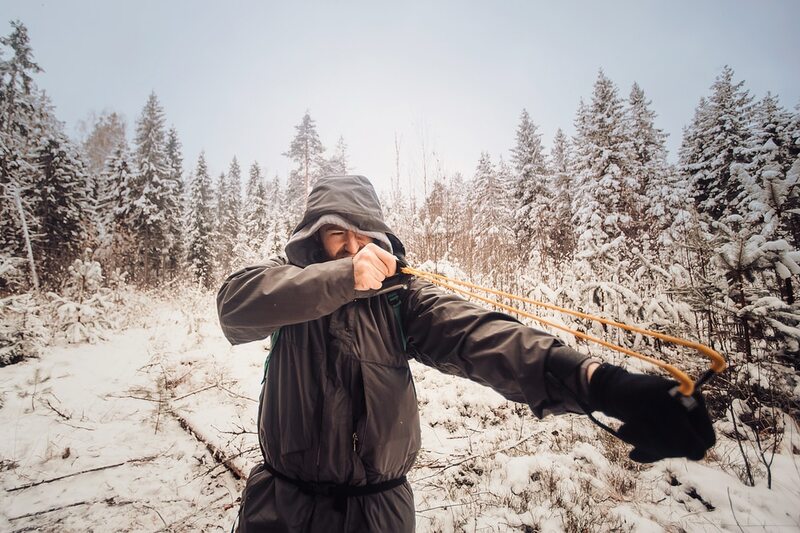 A slingshot is an ideal weapon in almost all types of prepping scenarios. It can kill any type of small game such as ducks, geese, pigeons, pheasants, rabbits, squirrels and even aquatic games like fish, etc. It’s even possible to kill large predator game with the right combination of skill and luck. Ammunition for your slingshot can be found anywhere you go. You can buy marbles, steel balls and scrounge around for good, fist-sized rocks whenever you need ammo. It’s an excellent weapon whether you’re facing survival challenges in an urban or a natural landscape. A Slingshot as a Self-Defense Weapon. Don’t underestimate the stopping power of a slingshot. In the right hands, they can be effective against attacking animals and humans. The small size makes it easy to conceal or store when not needed. Brandishing a threatening weapon could stave off any potential attacker, and the slingshot is no exception. 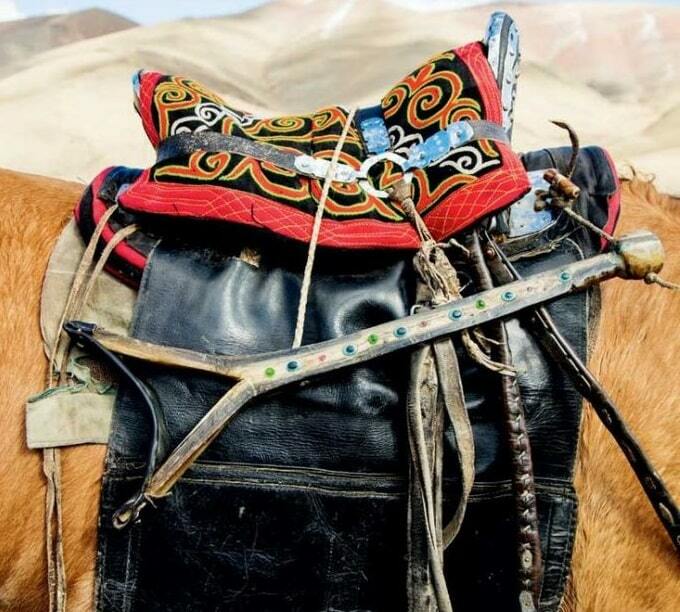 You can find ammo for slingshots just about everywhere you go. Slingshots are tough and can take a beating. Slingshots can be used for sniping, or stealth attacks when you need to take down targets without being detected. You can use a slingshot to hunt game and use it as a weapon for self-defense when doomsday events occur. Most large supermarkets such as Walmart have slingshots that can fire projectiles up to 300 feet per second. Varieties of slingshots have different speeds, but the important thing is to constantly practice with your weapon of choice to ensure a high level of proficiency and accuracy. For example, fast-moving animals such as rabbits or birds are quite difficult to hit if they are on the run. It would be best to target stationary game or not at all, because it could mean wasted ammunition and ruining the element of surprise in the end. The optimal targets are the ones that are stationary, but they are small, so you would need to practice in developing that skill. Wield the slingshot like you would a bow and arrow- stalking prey is the best way to kill with a slingshot. Some of the common pointers would be to hold the slingshot at a lower angle. Don’t put it up too high if you aren’t aiming for something in the sky. Don’t hold it too tightly or else the projectile will hit anything but the target itself. 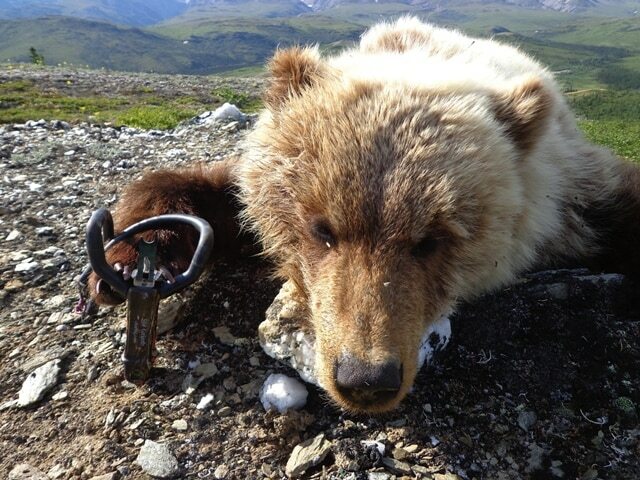 The act of hunting should always be tempered by ethical boundaries. Being accurate is the key to surviving using a slingshot. A headshot is probably the best way to kill small game. Hitting the target in the body would most likely cause internal bleeding, which potentially ruins the quality of the meat. 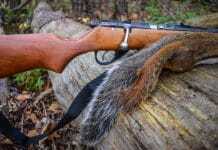 Non-fatal shots will cause squirrels and rabbits to escape, leaving you without a successful kill. Treat your slingshot like any other weapon you’d carry. The potential of the slingshot as a weapon is the same as with guns and rifles. They aren’t toys and shouldn’t be used to hurt anyone without just cause. They can injure, maim or kill if used incorrectly. Never, ever point a loaded slingshot unless in emergency or survival situations. Those who have worked with slingshots before will tell you how invaluable it can be in survival situations. Like any good weapon, not all slingshots are manufactured equally. There are features that you should think about when choosing the right slingshot. A slingshot can be divided into 3 main frame materials- plastic, wood and metal. With each material comes advantages and disadvantages. Knowing what each one can do will lead you to having the right type of weapon on the prepping process. – Perhaps the most economical choice out of all 3 frame materials. – There are different plastic sub-types available. Each can lend different advantages as well. 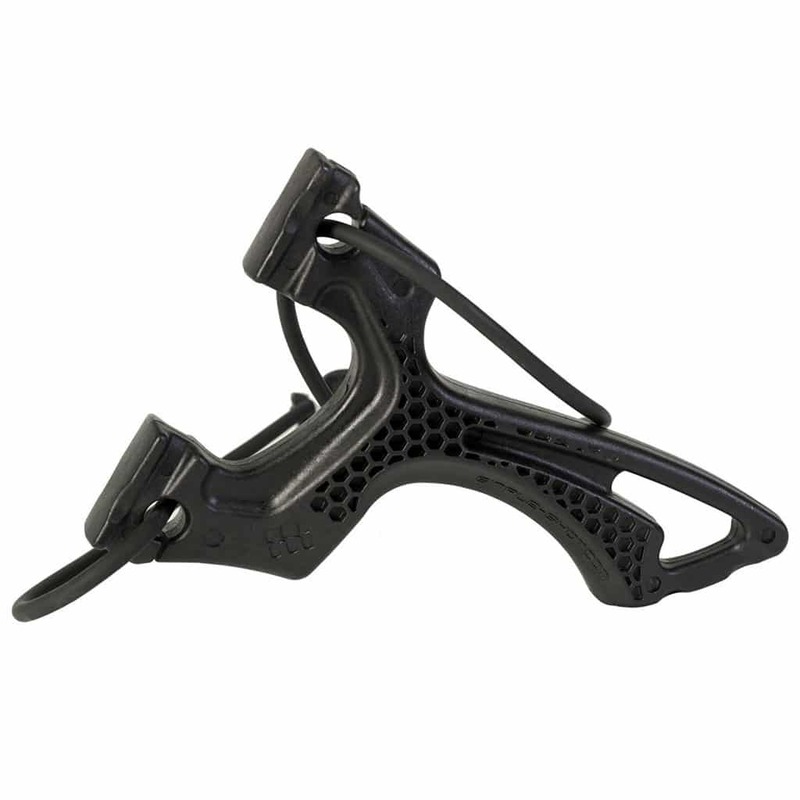 – Glass-filled nylon can be an excellent frame material if you’re looking for a lightweight yet durable slingshot. – Wooden slingshots are the oldest slingshot types there is. – Usually cut in a Y-shape; rubber bands are adhered to each fork. – The most expensive of the three. They are the longest-lasting and the sturdiest frame material you can get. 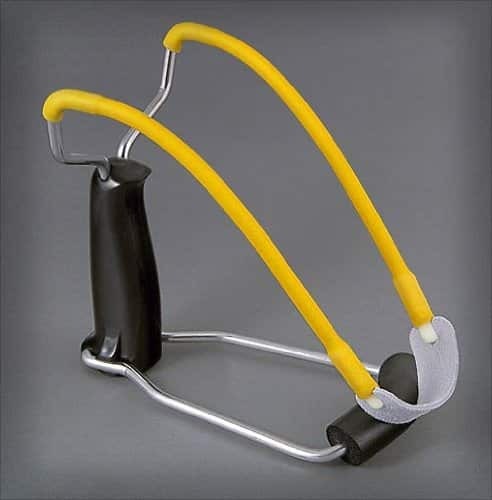 – A steel or aluminum frame slingshot with an ergonomic foam handle is great for bug out events. There are two dominant band types circulating in the market today- the flat rubber type and the rubber tubing type. Choosing the right band type will depend on what you intend to use the slingshot for. Tubing is known for being durable, while slingshots with flat bands provide a better shot and is great for use in self-defense scenarios. – Slingshots sporting flat bands tend to have a quicker shot and are more accurate, thanks to their rapid “snapback speed” feature, which is essentially the rate at which your projectile moves forward. – Flat bands act as a better deterrent against possible attackers. You can show off the accuracy of your weapon, which makes it an excellent self-defense tool. – Flat bands produce a quicker projectile speed while being easier to draw. If you’re firing for accuracy then you should go for flat bands at any rate. – Rubber tubes last far longer than flat bands would. 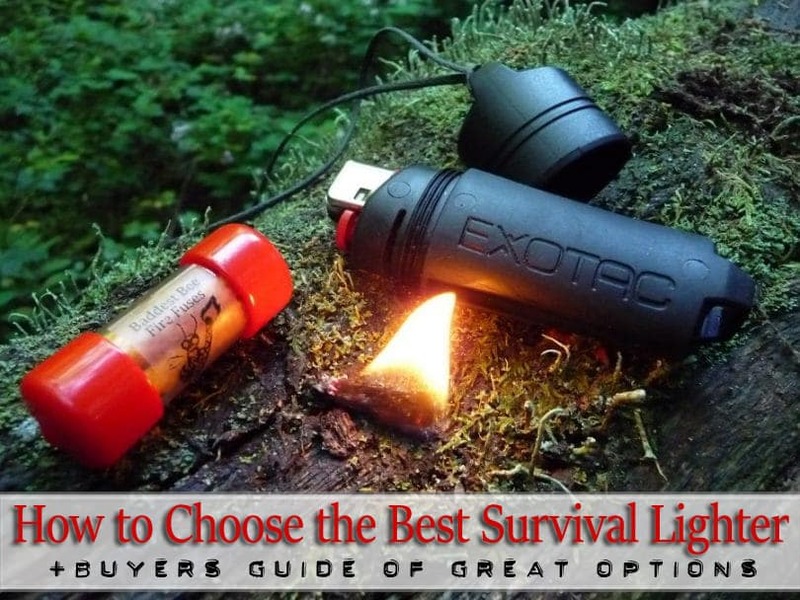 It’s the better choice if you’re planning to survive for longer periods of time and hunting small game. – There are a variety of slingshot tubes that cater to a specific draw weight. Choose one to get the best possible shooting feel. The bottom line here is that both band types are relatively cheap and easy to get a hold of. You should test each one out and see which one provides a better fit. What use would a weapon be if it were unwieldy and/or uncomfortable to use? You’d need a comfortable grip to make the most out of your slingshot. A slingshot that provides a good grip does more than producing less blisters- it allows you to get more shots in with greater accuracy because of reduced wrist and hand fatigue. 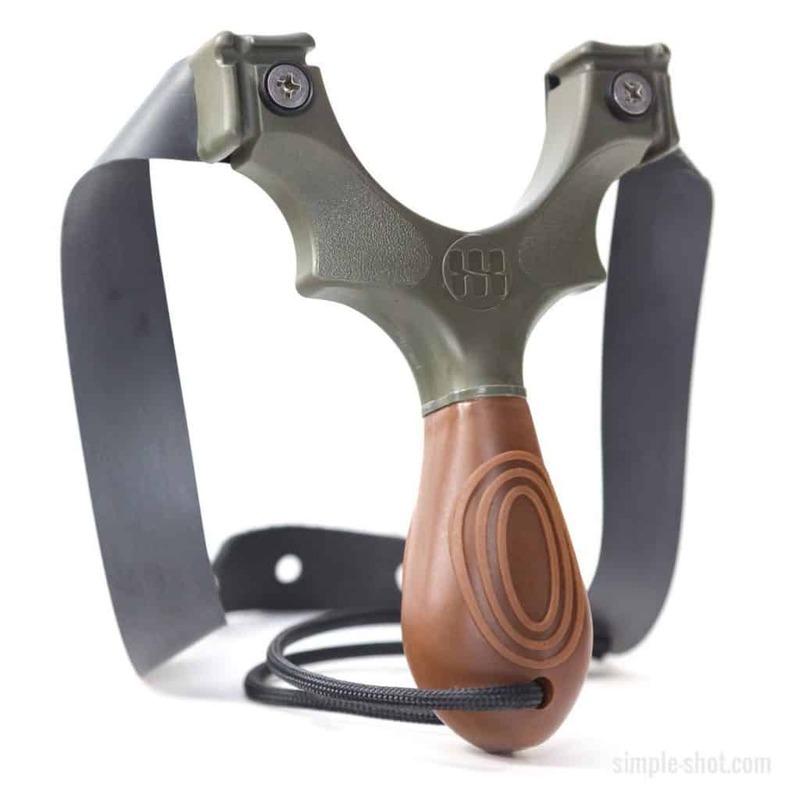 Ergonomic or contoured slingshot handles are the best ones to get. Having a sight improves the accuracy of your shot. It works well, especially in the early stages when you’re just getting a feel for distance and shooting accuracy. You’ll need lesser time to practice and use that for other aspects of prepping up. Still, practice is king when it comes to having a slingshot as a weapon. Sights are key feature if you intend to hunt small or fast-moving game. It becomes less useful (but still useful, nonetheless) if you’re prepping for human opponents and large game. Most top slingshot brands that cater to hunting usually come with a sight attached. Hollow handles are great for storing additional ammunition or spare bands. These usually come with a screw-cap aspect. If you think out of the box, the hollow handles can also be used for storing additional small survival tools or equipment. Button compasses, fire starter kits, medicine, fishing kits are among the things you can pack in it. What’s a low-tech weapon that has the oomph and the stopping firepower of low-caliber weapons? Slingshots. They work as excellent self-defense and hunting tools, and are great when you want to stalk or do practice stealth kills on small game. Slingshots are lightweight, easy to conceal and have virtually unlimited ammunition on any given landscape. Some slingshot experts say that band type is everything when it comes to slingshots. The Trumark FS-1 may lack the elasticity or the pull weight needed to make it a no-brainer purchase, but the stock ones are good for practicing nonetheless. The wrist guard and the arms are made from weather resistant aircraft aluminum material, each with a 4 and 1/2″ gap to the middle of the fork. The contoured plastic handle can store ammo as needed. The Trumark FS-1 could use a bit more ergonomic technology- the straight handle gives a good grip and accuracy, but you’d become uncomfortable after using it for a short while. The wrist guards can be folded if you’re lacking premium space for your bug out bag, your travel backpack or your footlocker. 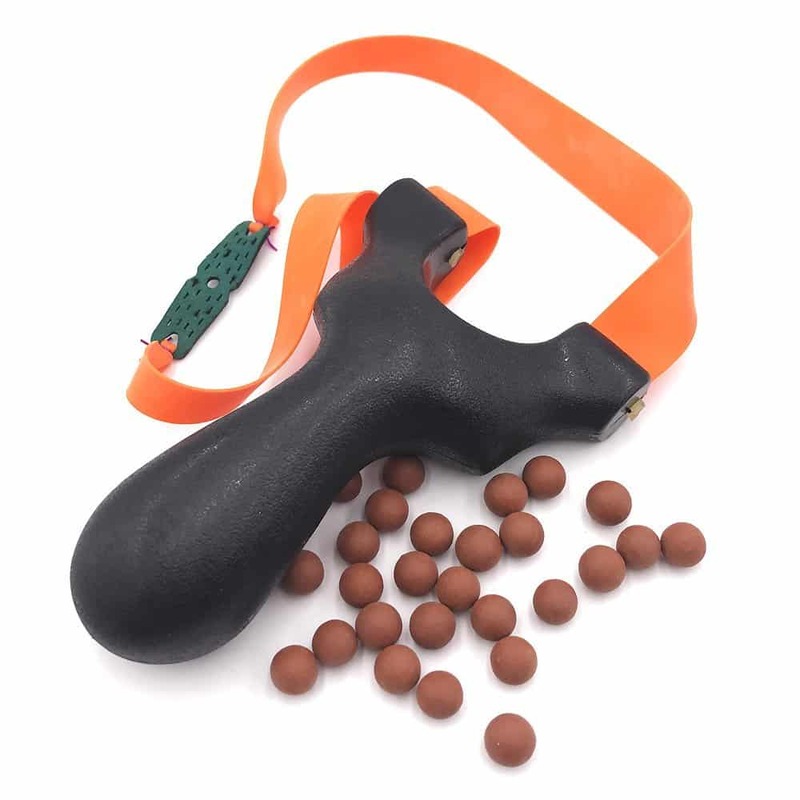 Individuals who will be using slingshots mainly for hunting big game, or those who are looking to use slingshots constantly may choose other slingshots in the list. The Trumark FS-1 shines when the situation calls for hunting small game, varmint control and learning the ropes of slingshot shooting. Investing in a few upgrades can make it a killer slingshot in certain doomsday scenarios. The Torque slingshot sets a high standard for what constitutes an excellent slingshot. The “indestructible” materials are made in the USA- a mixture of glass-filled nylon and polycarbonate. The design is simple but well-made. Look underneath the added features and you’ll find a variety of neat stuff that caters to both slingshot enthusiasts and doomsday preppers alike. Moreover, you can carry the slingshot around and store it just as easily in your bag when not in use, thanks to its lightweight construction. The extra-wide fork tips allow the user to install the more powerful flat bands when more force is needed. The Torque can easily accommodate looped or single strand tubes, depending on the user’s preference. The handle is ergonomic and has an offset handle. You can just point and shoot using the Torque Slingshot’s intuitive pointing and slide-shooting feature. Each product comes with its own 2040 tube and a paracord lanyard. 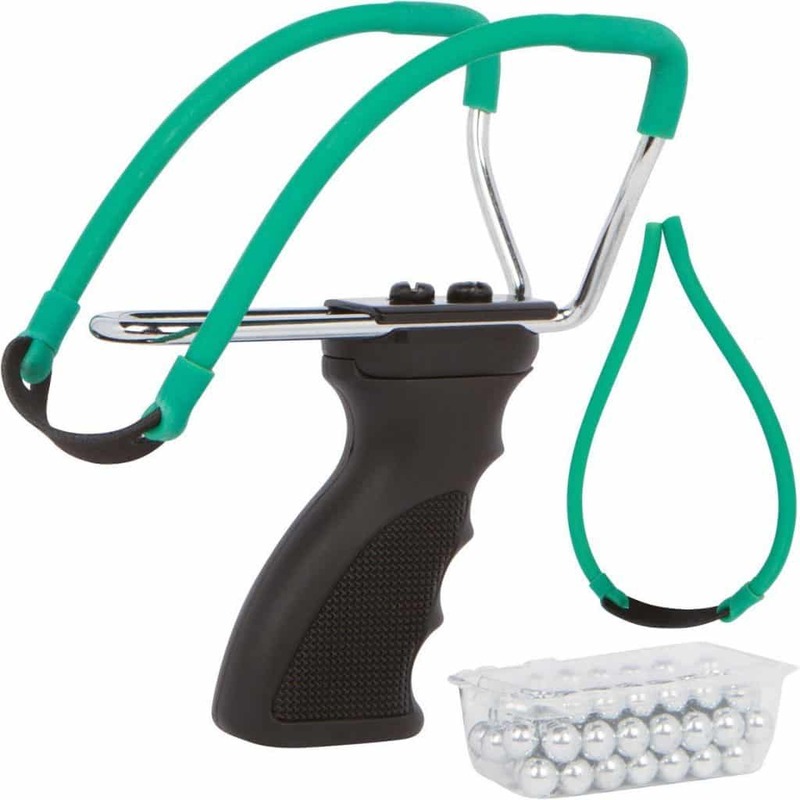 Experienced slingshooters will have a field day when they get their hands on the Torque Slingshot. The simplicity and clever band design really caught our eye on the Toprade ABS slingshot. While it may not have a forearm brace to help counter your pull, it makes up for it by having a clean ergonomic handle design that feels absolutely bulletproof. You could literally run this over with a jeep and it would survive, and it’s single flat strap band feels strong, supple, and durable. Pulling and aiming has a more natural and primal feel, with how it forces your fine motor fibers to do the stabilizing. What’s great is how you can easily stuff this into your bug out bag or pocket and almost forget it’s there, and take it out just as easily at moments notice. The band on this Toprade is one of the stronger ones offered in the industry. 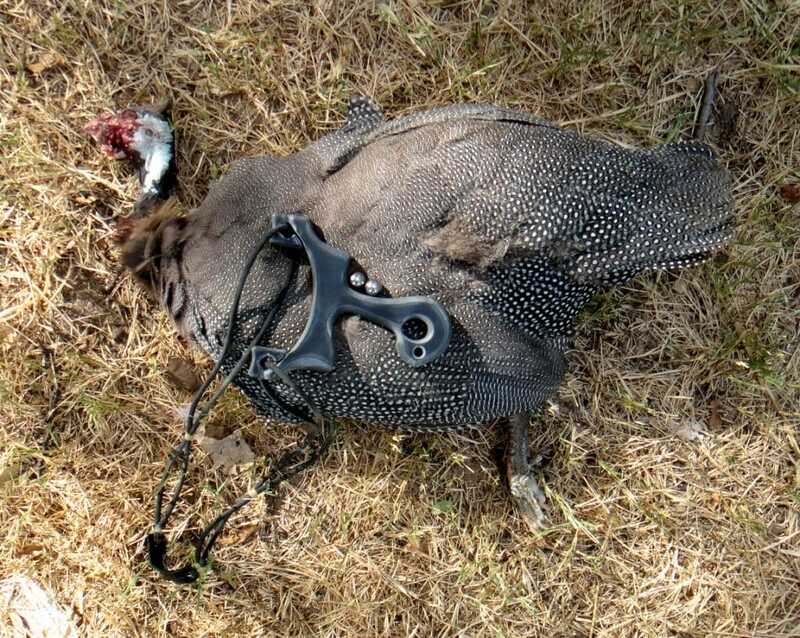 The Mythic Outdoors was one of our favorite all around serious hunting slingshots on the market. It’s all around quality, balance, and feeling of control make it ideal for getting your shot on target without any fuss. It’s adjusts nicely to different sizes with two top screws. While it only has one band, it’s extra high grade latex rubber feels stronger than most, and like it will retain it’s elasticity for years, (unlike some brands that dry and crumble in no time). It includes 75 steel balls to get you started. Best of all, the manufacturer offers a lifetime 100% money back guarantee, which is always a good sign that maker has much confidence in their own product. 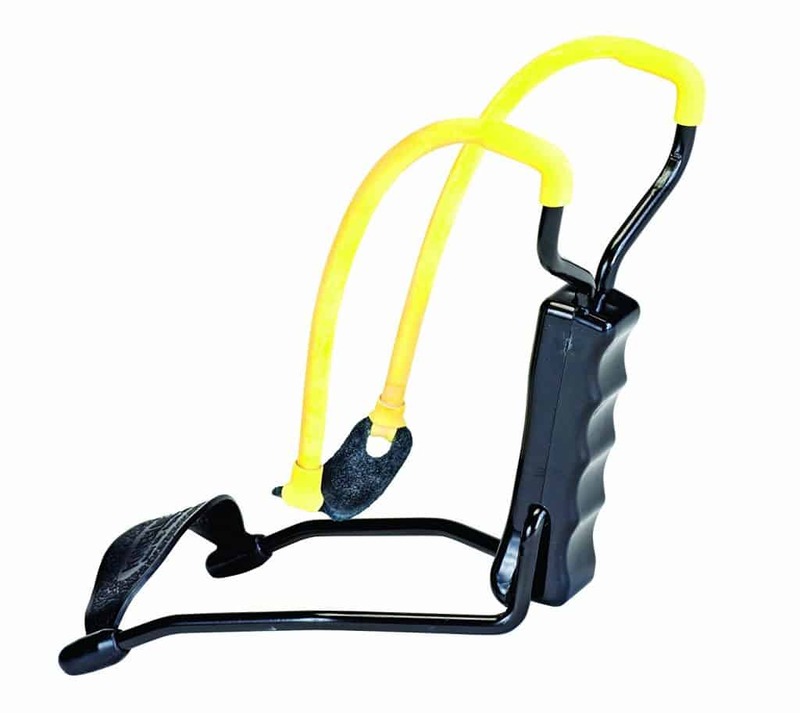 The Daisy B52 Slingshot combines everything that makes an excellent slingshot for almost all types of emergency scenarios. The all-steel black construction is fully adjustable. You can be sure to squeeze out many hours of use with it. The latex rubber tubing bands provide excellent resistance and added shooting accuracy. There’s a wrist support for added user comfortability, while the pistol grip handle allows for a steady grasp, and of course, better accuracy. Included is a leather pouch you can use to hold your ammunition. It’s not a friendly slingshot; rather, the name FRIENDLY is the brand manufacturer. 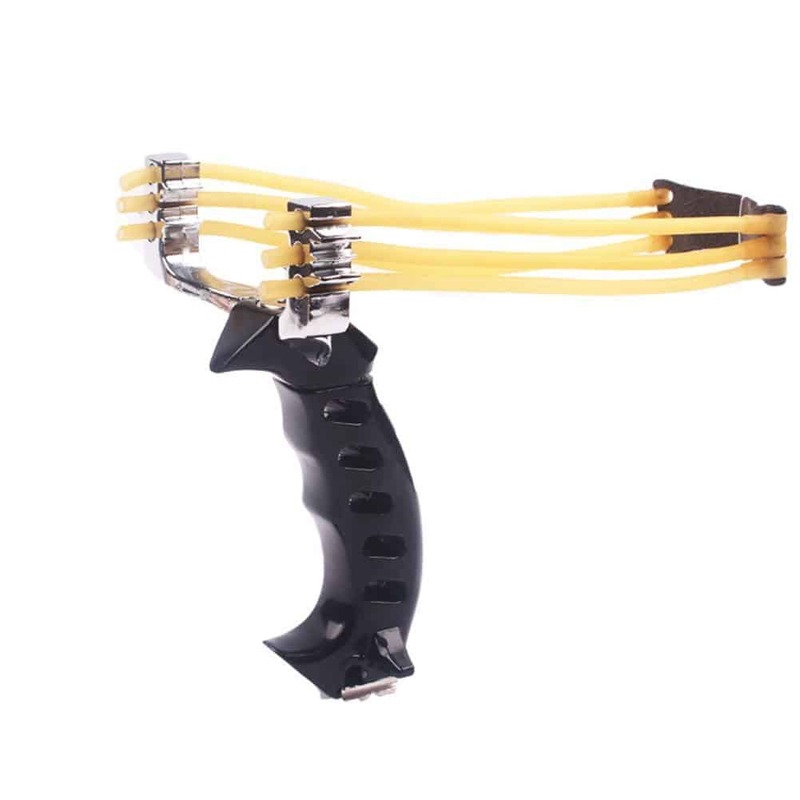 Everything about this slingshot makes it the opposite of friendly, especially when trying to survive an emergency situation. The Snake and Eagle grip is patented- the handle is shaped like that of an eagle’s head, which lends an aesthetic appeal. It more or less stands for bravery and strength, while being sculpted for a more ergonomic grip. 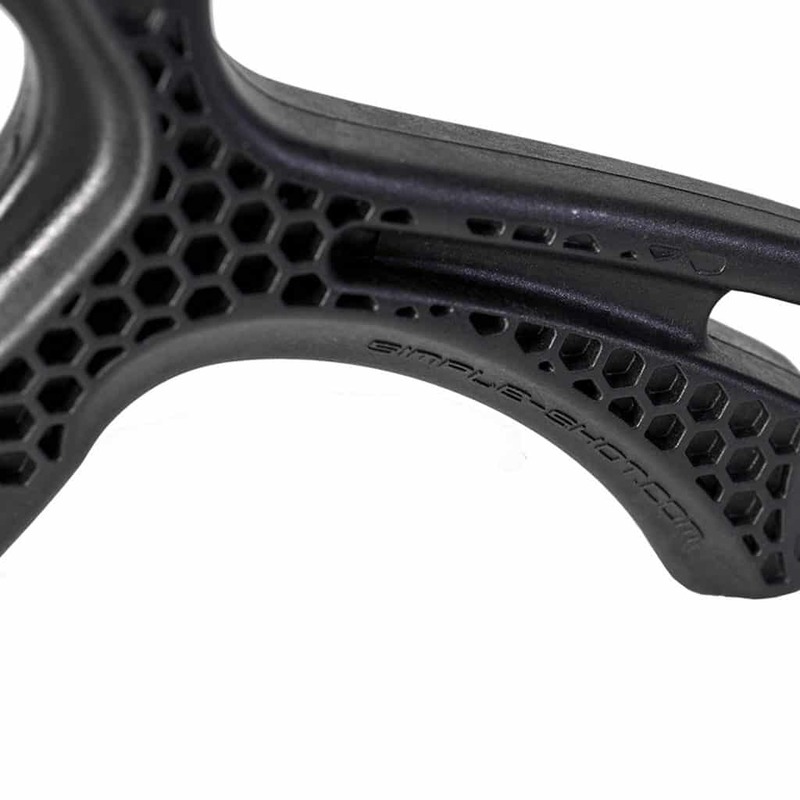 The base material is solid, sporting a strong alloy frame. The included 6 rubber bands have a unique elasticity that efficiently transfers energy for high-speed shots. Included are two anti-slip collars made of leather and a leather pocket for storing your ammo in. You can strengthen the frame using a hexagon screwdriver if necessary. The Friendly Slingshot features a sight you can use for added accuracy while shooting small targets. Overall, it’s sporty, handy and can give a powerful, accurate shot with constant practice. The name alone evokes a futuristic-looking slingshot, and you won’t be disappointed. The beautiful finish evokes a sleek design style, which surprisingly also performs pretty well. The polished arms and the marble decor is cut around the handle, which is wrapped in pseudo-leather. Beginners who want a stylish slingshot they can practice with can pick up the Adjustable Laser Hunting Slingshot. The heavy heft belies the fact that it can shoot accurately at a distance with considerable practice. 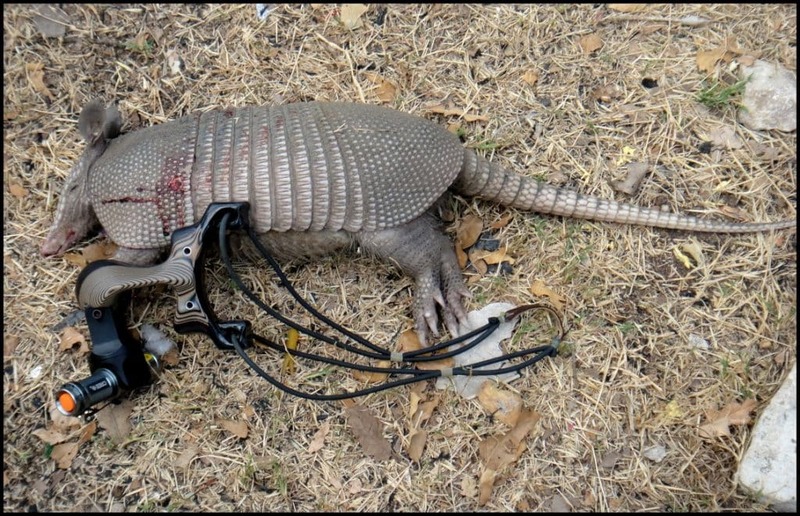 The heavier construction also allows the user to transfer more stopping power for hunting or stalking purposes. Moreover, the product comes with an adjustable wrist rest for a more accurate shot. The sight feature is in the form of a laser pointer you can activate anytime, enabling one to shoot a deadly projectile even at night. The MoreFarther Pro adjustable slingshot is touted as being a higher quality and more serious slingshot for hunting, and so far it’s lived up to those expectations. It has a sturdy metal body and wrist support for more stable marble launches. It includes a total of five bands (two back ups), and a generous 200 count of steel balls. We like the sleek and minimalist design of the MorFarther Pro, and the neon green bands give it a unique look while making aiming easier. It features a handy magnetic marble reserve for rapid reloads, which, in our opinion can significantly increase the chances of harvesting a survival meal by reducing the chance of escape – it’s often the case (though not always), that multiple “rounds” are needed, depending on your skills. 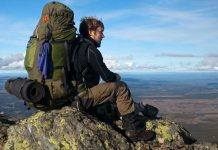 While you may spend a little more on the MoreFarther, it will likely be a more reliable and longer lasting tool for survival needs. The Scout Hunting Slingshot makes use of the widely-acclaimed Axiom design and combines it with the versatility of their patented FlippinOut 3G fork tips. If you’re looking for a slingshot that’s precise, affordable and is made of high-quality materials, then this is the slingshot for you. The manufacturers state that each Scout Hunting Slingshot is made in the USA, more particularly in North Carolina. Let’s start with the highly durable frame and the remarkably strong polycarbonate construction. The Scout was made for heavy use outdoors. It can take quite a beating and still remain serviceable and accurate when needed. Most excellent slingshots have the swap-out band feature, which means the user can forego the bands that come with the stock Scout and replace it with their favorite band. 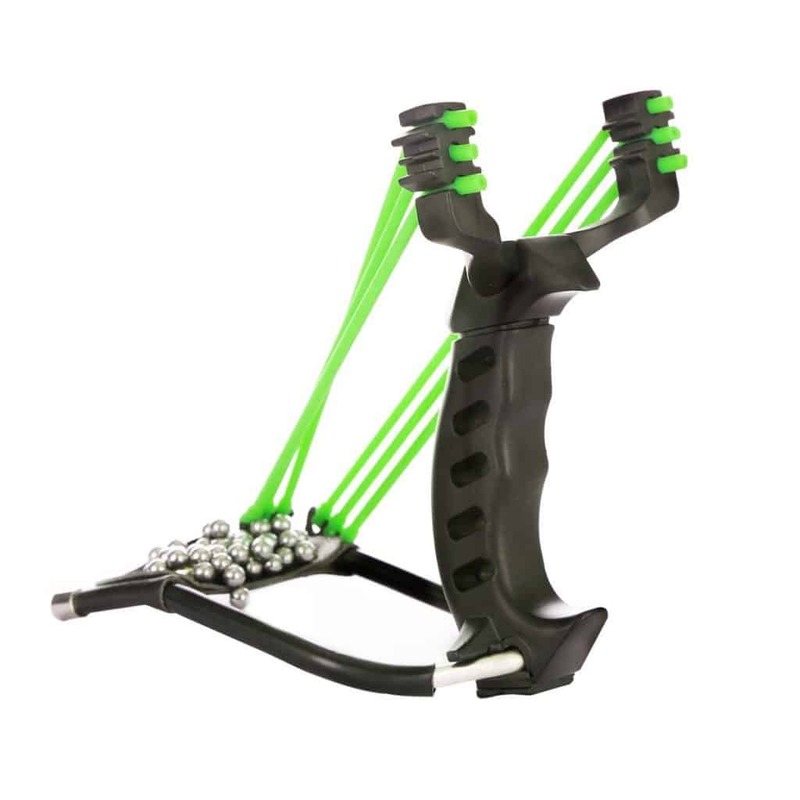 You can opt to use the Scout Hunting Slingshot for either self-defense or for small game hunting purposes. The included .030 inch latex bands are serviceable by themselves. The pouch is crafted from fine-quality, premium leather. 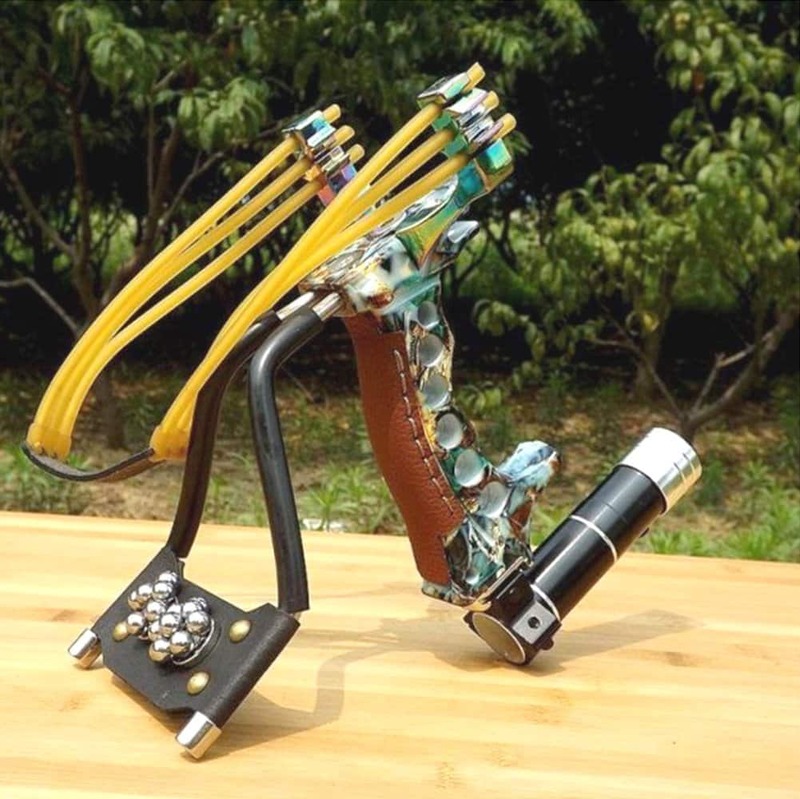 Users can modify the Scout Hunting Slingshot with a variety of preferred components and do minor improvements for it. 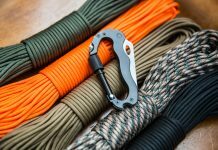 Sometimes a prepper needs a speedy shot more than any other slingshot aspect; for this reason the Tophunt Steel Slingshot was born. Make no mistake about it- this is a versatile, high-quality slingshot that can be used in a variety of survival situations. 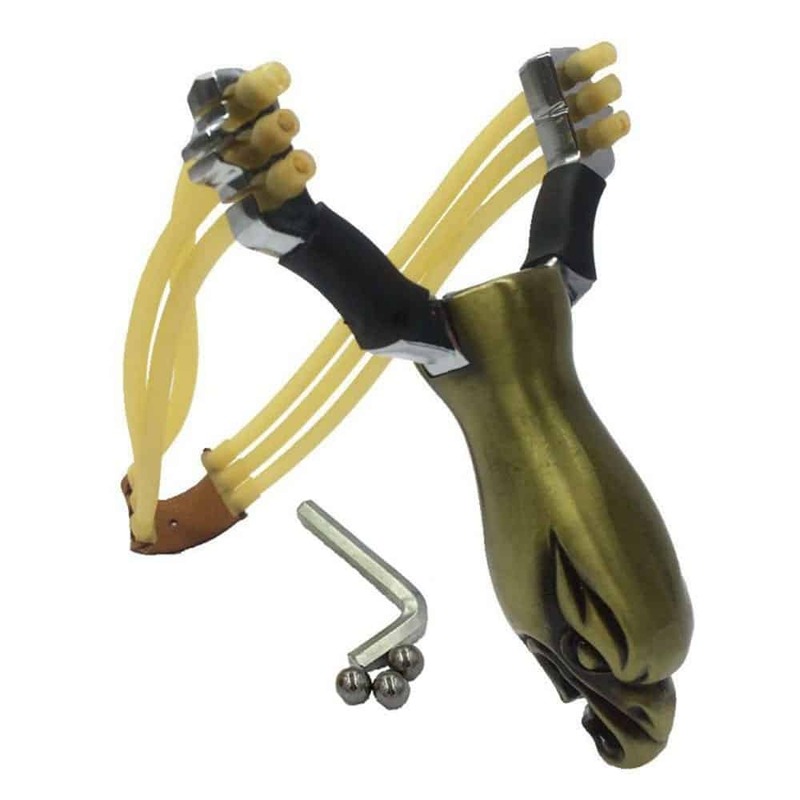 The strong rubber bands make the Tophunt Slingshot one of the strongest slingshots in this list. The extra wide forks coupled with a solid steel frame make gripping an easy affair. Accuracy is enhanced by the pre-set fork position. The ends can be adjusted with a steel screw for user shooting preferences. The steel construction is molded ergonomically, providing a non-slip grip. This means you can wield the Tophunt Steel Slingshot for many, many hours hunting small game or for practice purposes. Each Tophunt slingshot comes with 250 steel bearing balls you can use for ammunition or for practice sessions. Slingshots are the penultimate weapons that anyone can use at anytime. It serves as an excellent tool that caters to any age, demographic or race- whether male, female, young, old or tall or small. With enough practice, one can gain accuracy and skill, which opens it up to greater self-defense or small-game hunting capabilities. Those who don’t like the idea of handling firearms can turn to the slingshot for deterring potential attackers in survival situations. The only requirement you’ll need is time, and a lot of practice. You won’t have to worry about ammo, because they can be found everywhere you look. Previous articleWhat is the Reality of EMP Strikes & How to Prepare? Wow! I didn’t know there was an art to using a slingshot – but I believe you! Outside “end-of-the-world” scenarios, there are absolutely instances (especially when travelling) that I wish I knew how to protect myself instead of relying on the tour guide who doesn’t have my best interests at heart! It’s a great skill to have, even if you never need to use it! I’m currently working in Vietnam and make my own forks from tropical hardwoods such as acacia and jackfruit trees. Awesome weapons and fun to make. Very cool, thanks for sharing. What are you using for rubber?